When individual departments procure cloud service for their own use, they usually don't consider the hazardous organization-wide implications. 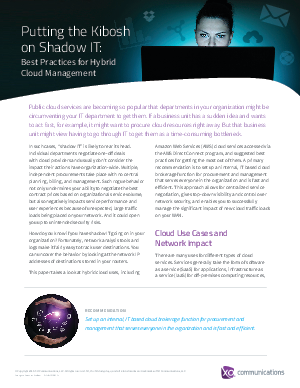 Read this paper to learn best practices for setting up an internal, IT-based cloud brokerage function that service the entire organization. Download this white paper to find out how this approach enables you to retain top-down visibility and control of network security and manage the impact of cloud traffic on your WAN.